Bordner Gives You the Gift of a Renewed Home. A Kansas City home improvement leader for more than 20 years, Bordner scores a customer satisfaction rating of an incredible 9.78 on a scale of 1 – 10, compared to a national industry average of only 6.29. 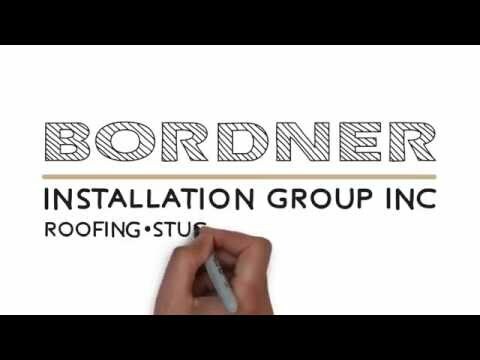 More than 40,000 clients across the Kansas City Metro area have learned to trust their commercial and residential roofing, siding, and window installation projects to Bordner. Click here to fill out an Estimate Request form or call (816) 358 – 2102. There’s that beautiful bit of time in the spring and summer after the sun has set when those flowers in your garden are at their fragrant peak and the air has cooled down to a comfortable temperature. This is an opportune time for highlighting the foliage you’ve spent the past few months cultivating. Below are some tips from EHow.com for installing Feature and Safety lights in your yard to make the most of those perfect Summer evenings. When you have an exquisite array of lush garden flowers, plants, bushes and trees, you want to enjoy them and show them at their best both day and night. When planning your garden lighting, consider areas of interest that may be especially dramatic at night. Tall trees or hedges, for example, become impressive and mysterious with a spotlight (placed in the ground facing up towards the sky) at the base. Often areas of low foliage or large spreading leaves will look enchanting with a globe light hidden amongst them. Globe lights cast a soft sphere of accent light without drawing attention to the hardware. A commonsense use of garden lighting is to illuminate walkways, protecting your delicate landscaping plants as well as preventing accidents. Styles appropriate for this kind of lighting include entrance or tier lighting. Both are a series of small shades atop a foot-long pole that cast light down and away, creating a wide circle of light on the ground. Solar-powered lighting is a practical and easy to install, giving effective for delineating a driveway or path. Art Perez, consultant lighting design expert for HGTV.com landscaping, suggests that although solar landscape lights are inexpensive and easy to install, you may not be as pleased with the light output. Perez suggests setting the lights in a southern exposure, as other locations will not fully charge the lights’ power cells. Jason Murer, a journalist specializing in the investigation of various cutting edge “green” products recently wrote an article called, “A Cheaper Way to Conserve energy: Ceramic Additives for Paint.” Below are some highlights that touch on just a handful of the benefits he explored. Energy saving is not only great for the environment but also for the pocket book. We’re all familiar with the typical insulation you put in your attic or walls or investing in costly energy saving systems like radiant heat systems or solar panels. I recently came across a new type of insulation that takes state-of-the-art energy savings to a new level but keeps the costs much lower than any other type of energy saving material. It’s called insulating ceramic paint. This kind of paint is a highly energy efficient for insulating interior or exterior surfaces. However unlike typical house paint coming in colors, this paint is meant to be added to traditional paint—giving people many color options. * Resistant to atmospheric pollution. * Non-toxic & environmentally friendly. * Highly scrubable on all surfaces. * Resistant to UV degradation. * Rapid drying for quick re-coating. * Easy cleanup with soap and water. * Highly resistant to salt spray & air pollution. * Contains safe yet effective Algaecides and mildewcides. * Chemical and alkali resistant, chemical, high impact resistance to chipping. With an understanding of The Five Ds of Home Improvement, you should be in a good position to sort out the advice you’ll get from contractors, neighbors, magazines and family members when contemplating home renovations. View your house from the street to get the most accurate first- and last-impression people have of your home. Keeping your home exterior well-maintained can be a good reflection of what’s on the inside. Sometimes you can judge a book by its cover, especially when it comes to the condition of a home. It’s important to be aware of your home’s shortcomings when you’re deciding whether to undertake a home remodeling project, since obvious deficiencies can lower your home value. Compare your home to similar ones in your area to find out where you can make improvements, and make sure you do so with an objective eye. What are the main features you describe when asked about your home? Every home should have characteristics that make it memorable when viewed alongside similar homes, especially when it comes time to sell in a competitive housing market. Houses generally appraise for more value if they have two or three special features that make them stand out. Often homeowners confuse “off the wall” with “distinctive.” You want to be memorable in ways that will appeal to a wide group of people. Take an afternoon and look through some of the latest home interior magazines or tour a model home or two. If the experts aren’t including a feature, its appeal is probably limited. Consider the benefits of the home improvement project. If you won’t see a return on your investment, don’t undertake it. Also be careful not to overdo it. Over-improving can cost you time and money. At the same time, small problems can become big expenses if overlooked, so make sure to take care of anything that may be a sign of bigger problems in the future. The Federal Government’s recently passed Economic Stimulus package makes now the perfect time for upgrading your home with high-efficiency windows, doors, roofing, insulation and siding installed by Bordner. In addition to the year-after-year utility savings you’ll receive by updating your home with energy efficient products, you’ll also be eligible for a tax credit up to $1,500. Because not all ENERGY STAR products qualify for the credit, Bordner’s home improvement specialists will guide you through finding high-efficiency windows, doors, roofing, siding and insulation that match your preferences and the guidelines of the tax credit. Step 3: File For Your $1,500 Credit! Bordner will provide you with the Manufacturer’s Certification Statement, product labels and receipts you will need to file for the “American Recovery and Reinvestment Act of 2009” tax credit. Contact Bordner for a free consultation! • Tax Credit is available for select roofing, siding, insulation, windows and doors. • Replacement materials must be “placed in service” from January 1, 2009 through December 31, 2010. • Improvements must be on the taxpayer’s principal residence. • Tax credit is based on 30 percent of the total cost of the materials, up to $1,500. Welcome to Bordner Installation Blog! We are thrilled to announce our innovative new online presence that will allow you to interact with us in brand new ways and also to keep abreast of the latest trends and developments. Much more than just a new website or blog, our new online presence will provide easy and convenient new ways to stay informed, shop, learn and network. We’d love for you to jump right in and contribute! Got an opinion on something you read here or a related topic? Just click on “Leave a Comment” and share your thoughts — we can’t wait to hear from you.